The story is getting better and better! And as expected, I’m so addicted to it, I can’t wait for wed-thursday to get the new epis. I think I’m soo enamored by Tae-kyung! Sour on the outside by sweet and squishy on the inside No matter how hard he tries to be mean, he still ends up being the nice guy. Shin-woo is also sweet, but I feel so sorry for him. He’s trying to court a very clueless girl. Haha! And Mi-nam/Mi-nyeo.. she looks so much like Eun-hye on Coffee Prince, but I think I’m liking her more. She got the innocent look to a tee. Living outside U.S. is a big disadavantage if you’re addicted to American TV. It’s even more of a disadvantage if you live in Singapore where downloading eps can get you thrown into jail. Best website to get intelligent and witty discussions would be on televisionwithoutpity. Try it, you’ll get addicted. A lot of people was not satisfied that Rory’s reason for being upset about the wedding was because she wasn’t there to see it. I found it believable. My initial reaction when I found out Lorelai eloped was disappointment for Rory. Rory should be there to see her parent’s getting hitched. She can be upset about other things, but the main reason should be because she wasn’t there. Getting married is a big thing. And knowing how close they are, they should be together in that big moment. 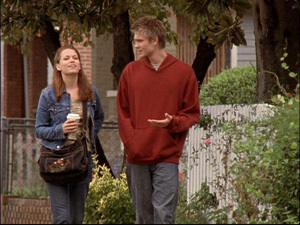 One thing that I really loved about this show is the friendship between Haley and Lucas. (We’ll aside from the fact that those two boys are sweet, sweet eye-candies.. heh! =) )Season 1 had shown that friendship quite well. After that, there more of like strangers. Which kinda made the show lose its magic for me.But in this last episode (Nothing Left To Say But Goodbye), when Haley got hit by a car (I know.. huh!? corny! ), then Lucas was freaking out and had a heart attack ( hahaha.. hihi.. so cheezy.. supposed to be dramatic but.. )Well, the story line was just so overly dramatic that I found it funny. But that’s beside the point. I found it sweet that Lucas was so concerned and was freaking out that he suffered a cardiac arrest. Morbid I know, but it just showed how much he cared for Haley. Take your breath away tv moments..
Ok. Here’s my list of heart-stopping, breath-hitching, heart jump up your throat tv moments. Mostly, scenes from my favorite couples. Nepture Grand scene – started with a ‘thank you for saving me’ peck on the cheek.. that turned into a 360 degree view of a full-blown make out scene! I got me transfixed.. then after that scene, had to rewind back and watch again.. and again.. and again.. I switch on the sound, switch it off, on again.. I was totally captivated. It’s all supposed to be pretend. But I can totally understand Taylor when she fell for that kiss. Scene: She was pleading with her husband’s divorce lawyer to grant her the divorce. Suddenly, Ryan comes in pretending to be her lover and plants the sweetest kiss on her. To complete the moment, Ryan taps her nose twice after the kiss before letting her go. **sigh** Won’t get tired of watching that one. Taylor’s expression after mirrors what I felt after watching them. Heh!Season 1 of the OC was one of the best tv show of all time. There is the adorkable Seth, the bitchy Summer and the tortured soul Ryan. (I’ll just leave out wooden Marissa if you don’t mind).Also, there are the best ‘rents ever, Sandy and Kirsten.Season 2 gave us a whiny Cohen, an alcoholic Kirsten, an almost adulterous Sandy and Ryan’s drama got tiring. Though, Summer’s still cool.Season 3 I wouldn’t know. I’ve stopped watching. Though I know they killed of the wood at season finale. 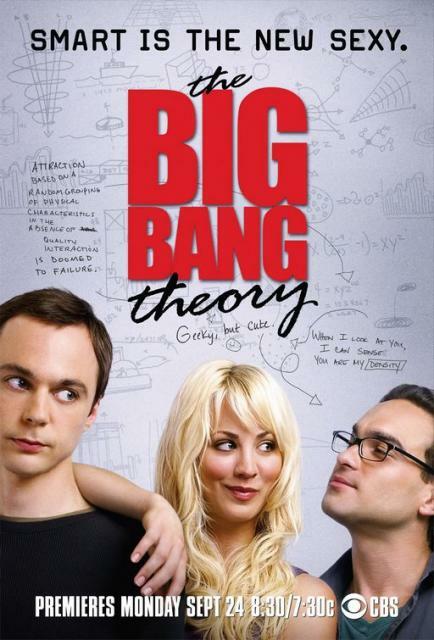 Which lured me back to watching season 4.And my show’s back! Wow! I’ve no complaints yet so far. And I’m back to being totally in love with it again.Seth’s back to being adorable. Dorky? not so much.Summer’s still cool.Ryan started off being the tortured soul still (bleh!) But him in a wifebeater? No complaints here =)Sandy and Kirsten’s back to being the best tv parents!Julie and mini-Julie.. most believable mother-daughter tandem.And.. Taylor! How can I say this without gushing! I love her! Best character in a long, long time!Welcome back O.C.! well.. my one tree hill obsession is back.. I don’t know why.. Just suddenly, I have this picture of Lucas Scott’s famous squint and I’m obsessed again..